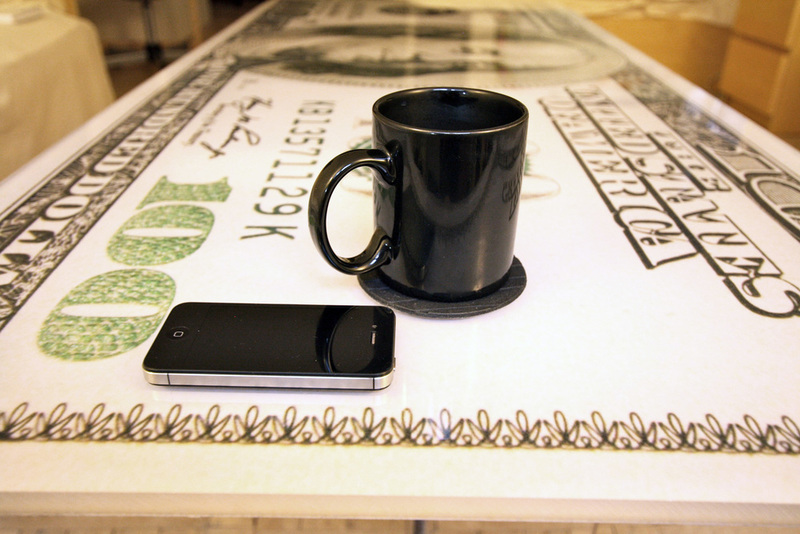 Polycarbonate Coffee Table Prototype. 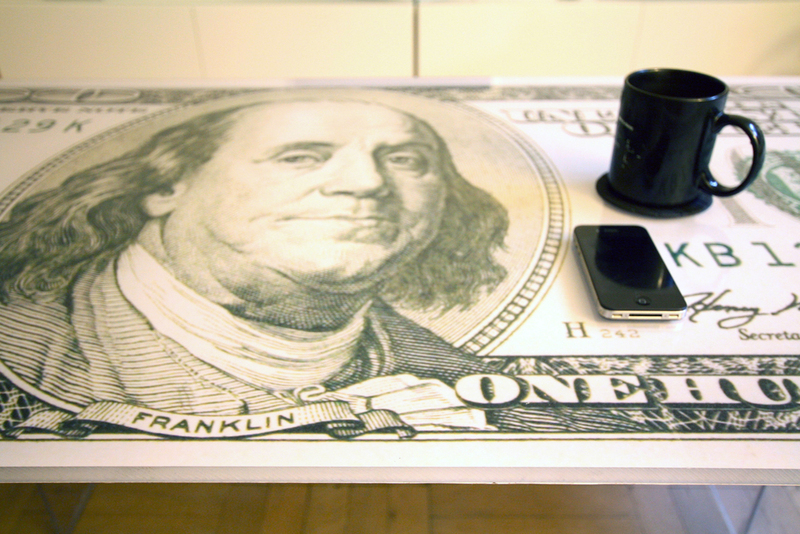 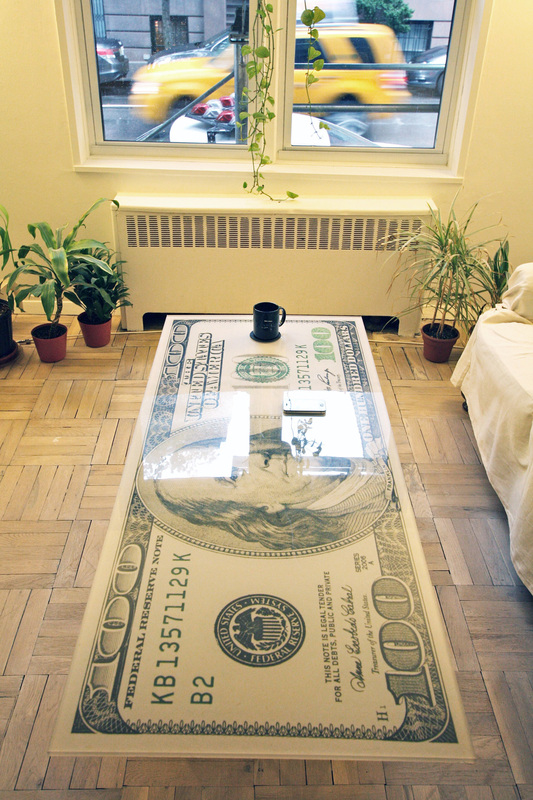 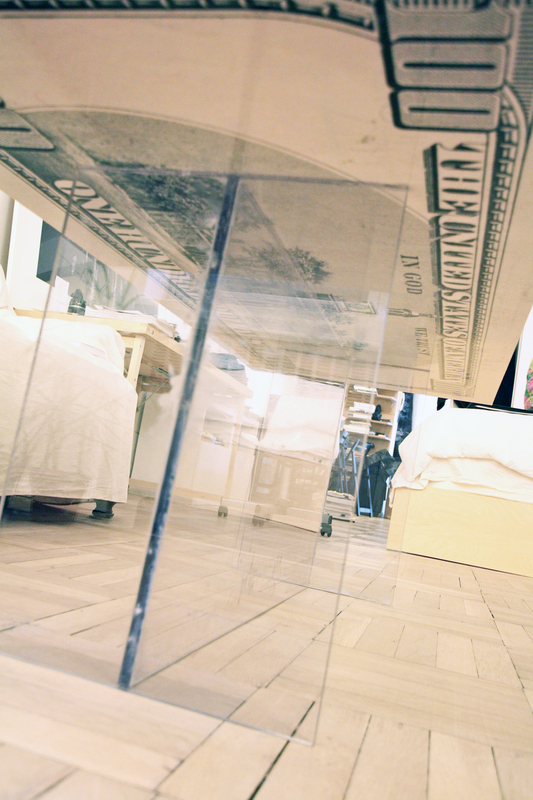 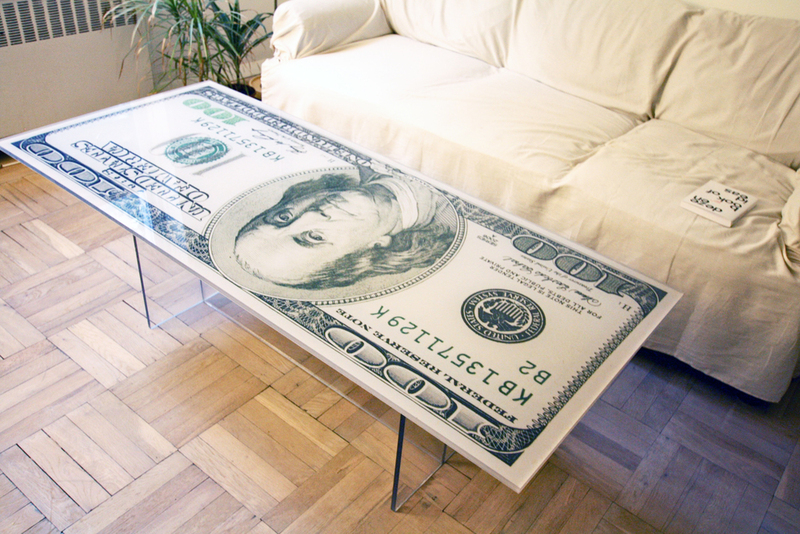 A floating double-sided color-accurate printed table-top of an over-sized US 100 Dollar Bill suitable for contemporary spaces requiring a hint of irony or a hit of modern life. 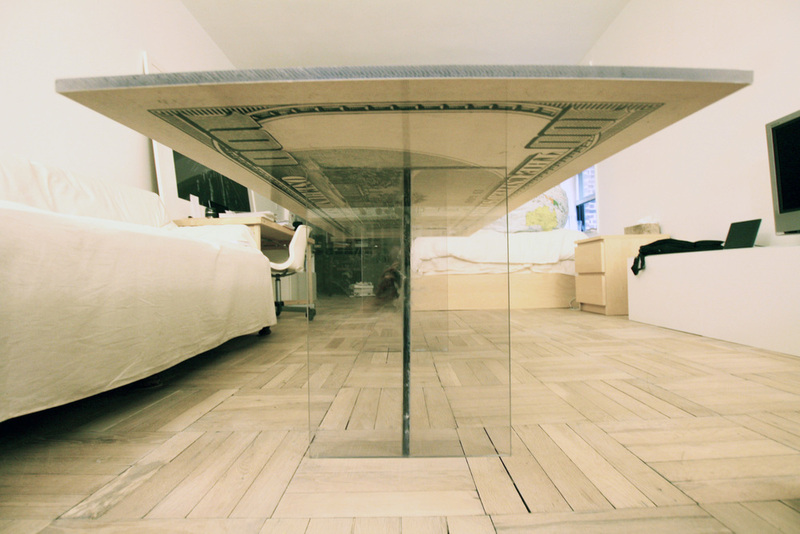 The product ships flat-packed but unfolds when unpacked. 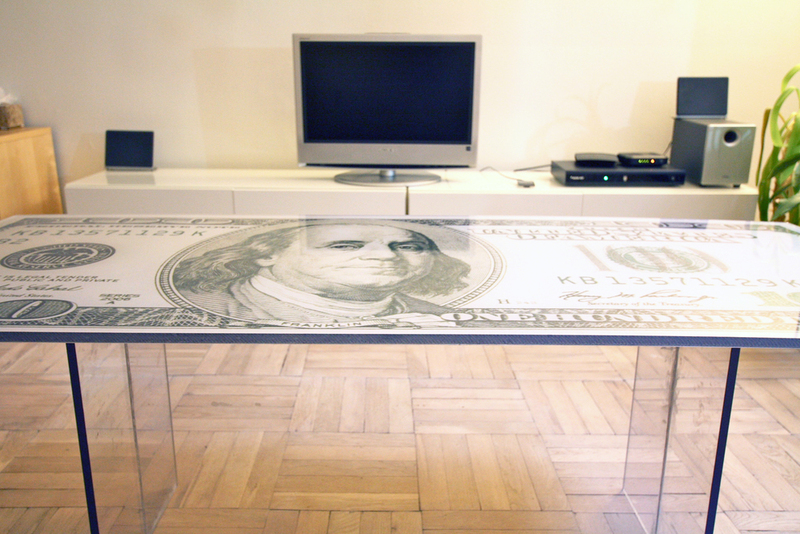 Email ben@amalgam-studio.com for advanced orders.